In the midst of a government shutdown, the U.S. Department of Justice seems to be already on its heels in its antitrust case to prevent the American Airlines-US Airways merger. On Oct. 1, one of the key state partners to the DOJ in the case said it is withdrawing its support from the antitrust lawsuit. Texas Attorney General Greg Abbott said his state would no longer support the lawsuit, set to go to trial on Nov. 25. Abbott dropped Texas' support of the DOJ suit after American Airlines and US Airways made two concessions affecting business interests in the state. First, American agreed to continue daily service to rural airports in the state. Second, American said the headquarters of the combined carrier will remain in the Dallas-Fort Worth area. Texas is one of seven states and the District of Columbia that joined the DOJ in August in its effort to stop the airline mega merger. The state had been under heavy pressure to pull its support of the lawsuit, especially since Texas has so many American employees. In addition, earlier in the day the DOJ had a requested an extension to the starting court date, citing its issues with the current government shutdown. Texas’ move is already drawing praise from unions for both carriers. “I applaud General Abbott for deciding to do what’s right for his constituents,” said Association of Professional Flight Attendants President Laura Glading. “We have over 3,500 flight attendants living in Texas and I’d venture to say the AG’s office heard from every one of them over the past two months. I’m proud of our efforts. 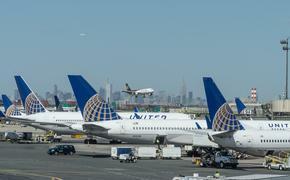 Now on to the other six states.” The two airlines’ unions have supported the merger.